Randall Douglas Perry, founder, Conductor and Music Director of The Bach and Handel Chorale and Festival Orchestra of Jim Thorpe, Pennsylvania, began his career in sacred music at the age of eleven, making this his 50th year as an active church musician. Since that time, he has served as organist and Director of Music for eight parishes, nineteen years having been spent at the Episcopal Parish of St. Mark and St. John in Jim Thorpe. While there, he instituted the “Music from Historic St. Mark’s Episcopal Church Concert series, for which he also served as the Artistic Director. A 1983 graduate of Wilkes College with a Bachelor of Music Degree, he currently serves as Organist and Master of the Choristers of St. Paul's United Church of Christ, Trexlertown, Pennsylvania and also owns and operates the Perry Music Studio in Jim Thorpe, where he currently instructs private piano students. Mr. Perry is the recipient of awards, both from the community of Jim Thorpe and the Mauch Chunk Historical Society for his outstanding contribution to the development of the arts in Carbon County. He is frequently called upon to perform dedicatory recitals at various churches and guest conduct performances, the most recent being the Carbon County High School Chorus. 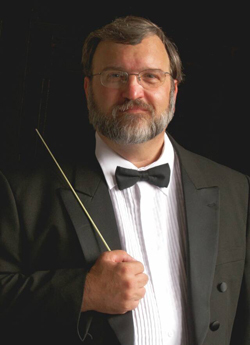 A published composer, Mr. Perry is a member of ASCAP (American Society of Composers, Authors and Performers), and one of his works was chosen for performance at the 42nd Annual Choir Festival in Ocean Grove, New Jersey, where a choir of 1400 voices performed his work, with Mr. Perry conducting.